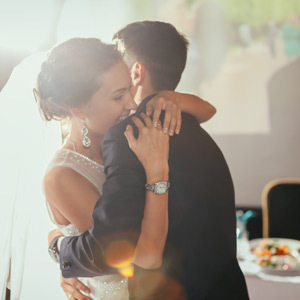 While the costs of weddings have skyrocketed in recent years, Stokely Event Center is committed to providing a premier Tulsa wedding venue to couples that will be memorable without breaking the bank. Many couples will bring their own decorations to our event center to personalize their wedding, but we have had couples that utilized our venue just for the unique décor. If you are looking at wedding venues in Tulsa, we would love to help make your wedding an affordable STOKELY experience! One of the great things about having your wedding at our Tulsa event center is the ability to use the space for a dual purpose. Instead of relocating everyone for your wedding reception, you will already be in a fun environment with everything needed to get your party started. Whether you want to utilize the sound system and dance the night away or take a turn on our free-play arcade games, we’ve got the entertainment covered! Sometimes you don’t want to be locked into a choosing your wedding reception meal from a list of approved caterers. To help avoid this scenario, our Tulsa event center gives you complete menu freedom and many will even home cook their wedding menu. If you have a distinct request for your wedding meal, STOKELY will let you stand by your choices.